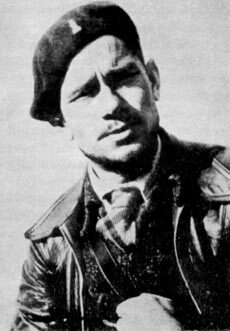 A short biography of Italian anarchist Rivoluzio Gilioli who died in Spain. In these years Rovereto and nearby Novi were strongholds of anarchism. The Modena region was in a revolutionary ferment with many protests and strikes. In March 1912 the peasants and sharecroppers of Rovereto went on strike leading to a harsh struggle with the local landowners. These hired scabs and put pressure on the police to arrest strikers. The movement ended in August in defeat. Onofrio participated in and supported the struggle which earned him trust and respect. He became a great influence on the radicalising youth of the town. At school Rivoluzio showed a marked intelligence and desire to learn. Onofrio encouraged him to develop his studies. By the age of 13-14 Rivoluzio was already a declared anarchist and anti-clerical. He enrolled in the technical school of Carpi in 1914. After finishing there he continued his studies in Modena. There he became one of the most active members of the local anarchist group. In 1919 at the age of sixteen he became secretary of the local Anarchist Communist Youth group and was employed to do the accounts of the Chamber of Labour. On December 3rd of that year he witnessed the arrival in Modena of Errico Malatesta who was greeted by a huge and enthusiastic crowd in the main square. He participated actively in the creation of workers’ libraries and in the spread of anarchist newspapers of the time, like Il Libertario of La Spezia and L'Avvenire Anarchico (The Anarchist Future) of Pisa. The anarchist movement in the area was organized in this period around the Provincial Federation of Anarchist Communists (Federazione Provinciale Comunista Anarchica) and in Modena, in particular, anarchists controlled the local Camera Del Lavora Sindicalista (Unionist Chamber of Labour) thanks to the work of militants like Vincenzo Chiossi, Carlo Nencini, and Zelindo Vincenzi. Immediately after the war the Chamber grew rapidly organising 16,000 workers, especially among building workers. The development of the anarchist movement in Modena corresponded to a general revival of the anarchist movement at the national level. In Florence in 1919 the Italian Anarchist Union (UAI), held its second congress which represented more than 40,000 activists. Even the regionally organised Anarchist Union of Emiliano-Romagna counted 124 groups. Rivoluzio took part in many meetings and conferences to develop the youth groups and the Federazione Comunista Anarchico (FCA). This counted 23 groups and 600 members in February 1920 going up to 40 groups and 1200 members in August. In addition there were a dozen groups outside of the Federation in the region. The development of the anarchist movement in Italy has to be placed in the context of the Red Biennium of 1919-1920, two years of mass strikes and factory occupations. In Modena anarchists took a leading role in the factory occupations. Rivoluzio was deeply involved in the movement in Modena alongside other young people like his sister Siberia and brother Equo, and others like Renzo Cavani, Luigi Evangelisti and Filippo Lusvardi. In December 1919 in Parma he participated in the founding congress of the Italian Revolutionary Youth (Unione Giovanile Rivoluzionaria Italiana). In 1920, the police murdered eight workers in Modena province. During a protest rally in response in the main square of Modena on April 7th the police fired without warning on the crowd, killing five and wounding twenty. In an atmosphere of continuing and repeated violence against the population by the police anarchists decided to take action and to arm themselves. Rivoluzio was among the organisers of the theft of 6 machine guns and 12,000 rounds of ammunition from a police barracks. A wave of arrests followed but Rivoluzio managed to escape to Bologna, after 26 anarchists and 2 revolutionary socialists were denounced to the police and arrested. In May he decided to leave for France, going to Paris, There he worked as a dishwasher and then as a carrier of newspapers from printers to newsagents. He then moved to Lens in the north, where he worked on a building site. The following year he moved to Belgium with his partner Marie Lucie Lequet, then returning to Paris. In the meantime his family had been forced to quit Italy by the fascists and settled in Fontenay Sous Bois, where their home became a meeting place for Italian anarchists in exile, including Camillo Berneri, Luigi Fabbri, and Armando Borghi. Onofrio got a job in construction and together with Rivoluzio negotiated with a construction company to provide work and passports for 80 Italian anarchists, enabling them to leave fascist Italy. In the meantime Rivoluzio was becoming a leading light in the exile movement. In 1925 he was a member of the Defence Committee for the anarchists Mario Castagna and Ernesto Bonomini arrested after the killing of two Italian fascists in France as well as in the solidarity campaign for the Italian-American anarchists Sacco and Vanzetti. In April 1927 his brother Libero, also an active anarchist, died as a result of complications from uraemia. In 1928 he worked as a foreman for a construction company in the Eastern Pyrenees for a section of the railway from Paris to Toulouse to Barcelona. As a result he made contact with many Spanish anarchists in exile. He became interested in Spanish affairs and started writing about them for anarchist journals. He went to Barcelona with his sister Siberia and her partner the anarchist Renzo Cavani to seek a safer place of asylum for the latter, who was living underground in France. Returning to Paris he become involved in the activities of the USI (Unione Sindicale Italiana-syndicalist union) and its paper Guerra di Classe (Class War). In 1932 together with Camillo Berneri and Antonio Cieri he set up the anarchist biweekly Umanita Nova published from October 1932 in Puteaux. Umanita Nova was banned by the authorities in January 1933 and was then replaced by La Protesta. Rivoluzio was on its editorial board. It ran to 3 issues before it too was banned. The Italian authorities had Rivoluzio in their sights, regarding him as a “dangerous anarchist” and putting pressure on the French authorities to have him expelled. He took part in the general strike in France on 12th February 1934 against the far-right street mobilisations. An expulsion order was served on Rivoluzio on 2nd January 1935 but thanks to the support of French socialists this was suspended for three-monthly renewable periods. On the 1-2 November 1935 he took part in the Italian anarchist congress at Sartrouville where the Comite Anarchico d’Azione Rivoluzionaria was founded. He then took part in all the demonstrations for the right to asylum. In June 1936 he wrote a manifesto against the war in Ethiopia with Virgilio Gozzoli and Ernesto Bonomini. This was amended by the French anarchist Sébastien Faure and published in many Italian and French anarchist papers. On the 20-21 of the same month, together with Berneri and Umberto Marzocchi and many others he took part in a conference for the right to asylum. At the beginning of 1936 he was commissioned to direct work in the port of Dunkirk. Together with Cieri he was involved in the sending of Italian volunteers to Spain. In June he went with Marzocchi to the Franco-Belgian border to facilitate the transporting of arms to Spain in coordination with Mario Mantovani in Brussels and Hoche Meurant in Wattrelos.These were passed on to Alphonse Tricheux in Toulouse and then on to Spain. Rivoluzio also took part in the conference in Paris of all the Italian anti-fascists. Here the Communist Party unilaterally set up the Garibaldi Division of the International Brigade which was completely under their control to the indignation of the anarchists and of the socialists of Giustizia e Liberta of Rosselli. On December 5th 1936 he went to Spain. His father was already there working on coastal defences, his sister Siberia was on border duties and his brother Equo in an anarchist column. He joined the Italian Column and fought on the Aragon front. Because of his technical ability he was transferred to the Company of Engineers of the Ascaso Division, and became its commander. He was assigned the work of fortifications and construction work among the collectives. After the May Days of 1937 and the murder of Camillo Berneri he was appointed commander of the Company of Engineers of the 28th Division (ex- Durruti Column). On June 16th, 1937 while performing an inspection tour at Terraza Carrascal on the Huesca front he was hit by an enemy bullet. He died in a Barcelona hospital on June 21st, 1937. He was buried in the Montjuich cemetery. Onofrio was arrested and sent for a short period to a French concentration camp but was fortunately not handed over to the Italian authorities. He died in Fontenay in 1968. Equo also avoided being deported and continued to live in France and carry out political activities. He took part in the events of May-June 1968. Both Equo and Siberia have now died and the only survivor of the anarchist family is Ribelle Gilioli.